Smashed into a pile of scattered debris on the deck. Seasons past while we entertained on the deck. Miracle that preceded it in that spot. Stephen Anderson is a Milwaukee poet whose work has appeared in numerous print and online publications and has been featured on the Milwaukee NPR affiliate radio station, WUWM. He is the author of a chapbook, The Silent Tango of Dreams (2006), and his poems have appeared more recently in the anthology, Portals And Piers (2012). As a Peace Corps volunteer, Stephen travelled extensively in South America; he also taught for a year at Queen Mary and Westfield College of the University of London, an arrangement that afforded him a chance to travel throughout Europe and the United Kingdom. As his wife is from Trinidad and Tobago, he has also visited those islands numerous times. 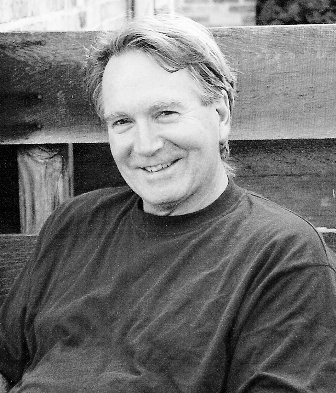 Given his varied living experiences, including his childhood in Georgia and Tennessee, Stephen does not consider himself to be a “regional writer” in any way; instead, his poetry more aptly reflects what might be considered a global/universal perspective. Closely observed and clearly described--thanks for sharing this small gem of a poem. I appreciate your careful observations of the hornet's nest, which most people would simply toss into the garbage--and "the Taj Majal in miniature." I like the traditional lines, honored quietly by initial caps, part of the confident understated majesty of this poem.